All copper moonshine still. 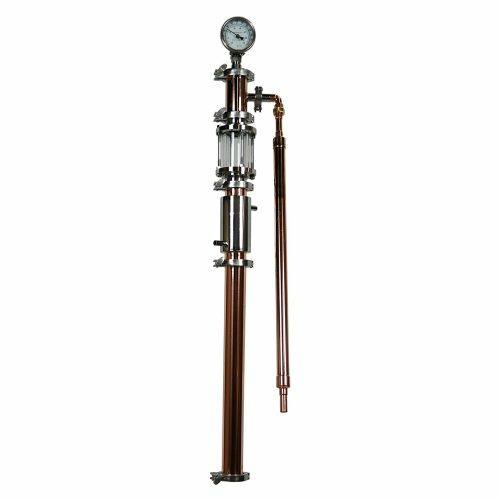 16 Gallon copper boiler with three inch copper pot still tower. 8″ rolled top opening just like the stainless milk can so easy to clean out. 3″ copper domed top lid with stainless clamp. 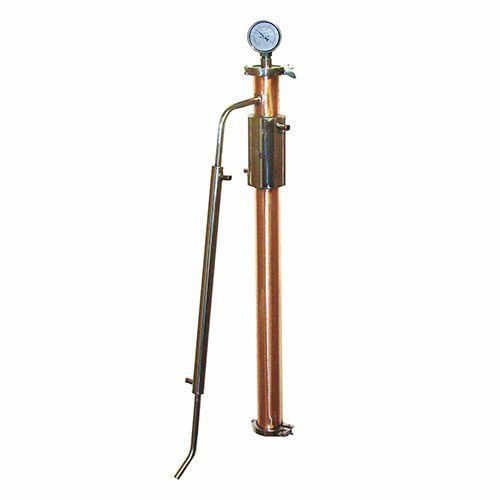 These 16 gallon copper milk cans have two 2″ tri-clamp fittings for heating elements, 3′ fill port, drain and a dial thermometer. The 3″ copper pot still head is all tig welded copper. Copper is preferable over stainless steel in certain applications. The maintenance tends to be more strenuous than stainless steel and the cost tends to be higher. 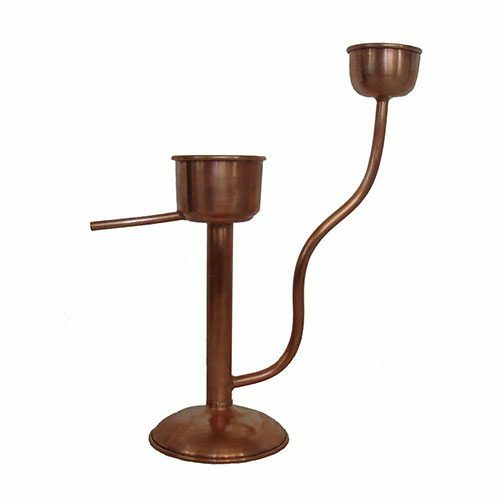 However, copper is a superior conductor of heat and therefore can put out a higher quality product under certain conditions.